What is the cheapest way to get from Abilene Christian University to Lubbock? The cheapest way to get from Abilene Christian University to Lubbock is to drive which costs $16 - $24 and takes 3h 25m. What is the fastest way to get from Abilene Christian University to Lubbock? The quickest way to get from Abilene Christian University to Lubbock is to drive which costs $16 - $24 and takes 3h 25m. Is there a direct bus between Abilene Christian University and Lubbock? No, there is no direct bus from Abilene Christian University to Lubbock. However, there are services departing from Abilene, Tx and arriving at Lubbock, Tx via Big Spring, Tx. The journey, including transfers, takes approximately 5h 21m. How far is it from Abilene Christian University to Lubbock? The distance between Abilene Christian University and Lubbock is 147 miles. The road distance is 168.5 miles. How do I travel from Abilene Christian University to Lubbock without a car? The best way to get from Abilene Christian University to Lubbock without a car is to bus which takes 5h 21m and costs $30 - $50. How long does it take to get from Abilene Christian University to Lubbock? It takes approximately 5h 21m to get from Abilene Christian University to Lubbock, including transfers. Where do I catch the Abilene Christian University to Lubbock bus from? 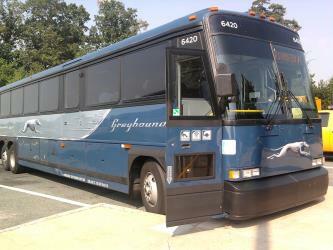 Abilene Christian University to Lubbock bus services, operated by Greyhound USA, depart from Abilene, Tx station. Bus or fly from Abilene Christian University to Lubbock? 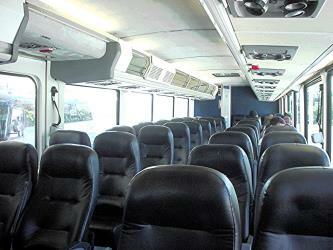 The best way to get from Abilene Christian University to Lubbock is to bus which takes 5h 21m and costs $30 - $50. Alternatively, you can fly, which costs $140 - $650 and takes 3h 37m. How long is the flight from Abilene Christian University to Lubbock? There is no direct flight from Abilene Airport to Lubbock Airport. The quickest flight takes 3h 17m and has one stopover. Where does the Abilene Christian University to Lubbock bus arrive? 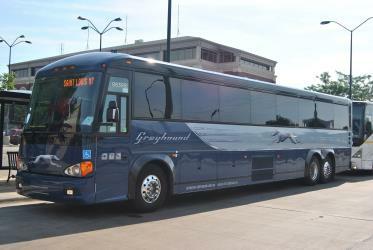 Abilene Christian University to Lubbock bus services, operated by Greyhound USA, arrive at Lubbock, Tx station. What companies run services between Abilene Christian University, TX, USA and Lubbock, TX, USA? You can take a bus from Abilene Christian University to Lubbock via Abilene, Tx and Big Spring, Tx in around 5h 21m. Alternatively, American Airlines flies from Abilene Christian University to Lubbock every 2 hours. Can I drive from Abilene Christian University to Lubbock? Yes, the driving distance between Abilene Christian University to Lubbock is 168 miles. It takes approximately 3h 25m to drive from Abilene Christian University to Lubbock. Which airlines fly from Abilene Airport to Lubbock Airport? American Airlines offers flights from Abilene Airport to Lubbock Airport. Where can I stay near Lubbock? There are 68+ hotels available in Lubbock. Prices start at $51 USD per night. How do I get to Abilene (ABI) Airport from Abilene Christian University? The best way to get from Abilene Christian University to Abilene Airport is to taxi which takes 9m and costs $15 - $18. Discover how to get to attractions and hotels near Lubbock. The Buddy Holly Center is a performance and visual arts center in Lubbock, Texas, dedicated to Buddy Holly as well as the music of Lubbock and West Texas more broadly. The building in which it is located opened as the city's Fort Worth and Denver South Plains Railway depot in 1928. In 1996, the City of Lubbock obtained a sizable collection of Holly-related artifacts from his estate, and the next year it purchased the former depot. In 1999, the new Buddy Holly Center opened as the home of the newly acquired Buddy Holly collection as well as a replacement for the city's Fine Arts Center, which had been established in 1984. Silent Wings Museum, "The Legacy of The World War II Glider Pilots", is a museum in Lubbock, Texas. The American Wind Power Center is a museum of wind power in Lubbock, Texas. Located on 28 acre of city park land east of downtown Lubbock, the museum has more than 160 American style windmills on exhibition. Rome2rio makes travelling from Abilene Christian University to Lubbock easy. Rome2rio is a door-to-door travel information and booking engine, helping you get to and from any location in the world. Find all the transport options for your trip from Abilene Christian University to Lubbock right here. Rome2rio displays up to date schedules, route maps, journey times and estimated fares from relevant transport operators, ensuring you can make an informed decision about which option will suit you best. Rome2rio also offers online bookings for selected operators, making reservations easy and straightforward.